At Hudson Barry you’ll find hand picked staff with formal qualifications. Our instructors have all experienced their own personal transformation via the Pilates method and are passionate, committed and dedicated to sharing this passion with our clients. They have all been personally groomed and mentored for their position by Hudson Barry Director and principal trainer Melissa Barry (a stickler for precision, integrity and high standards of excellence). Our staff, are committed to walking the talk, they maintain their own regular workouts and are always striving to learn more and evolve by regularly participating in ongoing education. 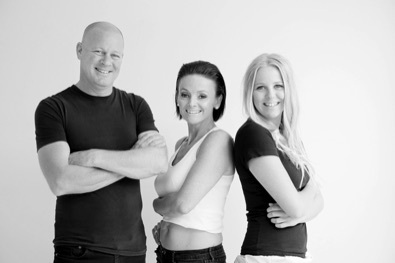 All our Pilates instructors are Pilates Alliance Australasia members. Adv. Dip. Pilates, Adv. Dip. Naturopathy, Dip. Nutrition, Dip. Botanical Medicine, Dip. Homoeopathy, Dip. Remedial Massage, Cert. Biomesotherapy, Cert. IV in Workplace Assessment & Training, ATMS full member, PAA Principal Trainer and Pilates Alliance of Australia committee member. Melissa has been working with the body & mind for over 20 years, first commencing with massage & then becoming a Naturopath. She later added a certificate in biomesotherapy to address acute injuries and finally discovered & launched into her pilates journey in 2002. Melissa's first 3 years of Pilates were spent training under Helen Tardent of Pilates Moves Double Bay, and then further training under Sally Anderson from Pilates International Training Centre to the Advanced Diploma level (highest possible govt accredited standard currently available). Melissa continues to learn from great teachers at workshops & via workouts. Most memorable so far have been Julian Littleford, Blossom Leilani & with classical teachers such as Jerome Weinberg, Chris Robinson, Brooke Siler Essapen & Jay Grimes. Melissa has been a faculty member for the delivery of the certificate IV in Pilates Instruction as well as the Diploma of Pilates through TAFE and Pilates Canberra and continues to contributes to the industry as a mentor for students and as a newly elected committe member on the PAA for 2016 after being requested to put her hand up. The Pilates method is a whole body workout. It is like an active meditation as you engage your mind, breath & powerhouse to perform exercises with precision, focus and ultimately with flow and power. Lengthening and strengthening your whole body while rejuvenating your mind. It is strong work with the advanced work being quite acrobatic. Don't panic though, we start you with the basics and spend time rehabilitating areas as needed, carefully massaging, releasing & moving. The key is learning to move correctly & dynamically, then adding ever more challenge, to create your NEW body! "In 10 sessions you will feel the difference, in 20 sessions you will see the difference and in 30 you will have a new body." Joe Pilates. Since quality is paramount, all new clients start privately to learn correct technique, which also allows for individual programming & attention to detail. We are passionate about integrity & quality and our clients achieve life changing results. Both studios are fully equipped with world class, traditional apparatus. We have reformers, chairs, barrels, ped-a-pul, cadillacs, towers and other small apparatus. As your pilates journey progresses you will be advanced through the repertoire and learn appropriate exercises for your level on each apparatus over time. To join our group sessions, we like you to achieve a reasonable level of execution & flow so that we can maintain energy & equal attention to all in the class. We do understand that every body has different needs & at times limitations, so we modify accordingly for those clients and these will be mapped out in your privates. We don't expect you to go beyond your limits. Joe Pilates said that until you fully understand an exercise there is no point in going to the next. Self mastery is a journey. We'd love to be a part of yours. "Contrology is complete coordination of body, mind and spirit. Through contrology you first purposefully acquire complete control of your own body and then through proper repitition of its exercises you gradually and progressively acquire that natural rhythm and co-ordination associated with your subconscious activities."